Donnelly Rhodes, a Canadian-born character actor best remembered by daytime drama fans for his portrayal of Phillip Chancellor II on The Young and the Restless, died on Monday at a hospice facility near his home in Maple Ridge, British Columbia. He was 81. The cause was cancer, his agent, Lisa King, said. Rhodes's television career began with westerns like Maverick and Bonanza in the early 1960s and continued until 2016. Over the decades he appeared in practically every televised genre, from sitcoms to soap operas. 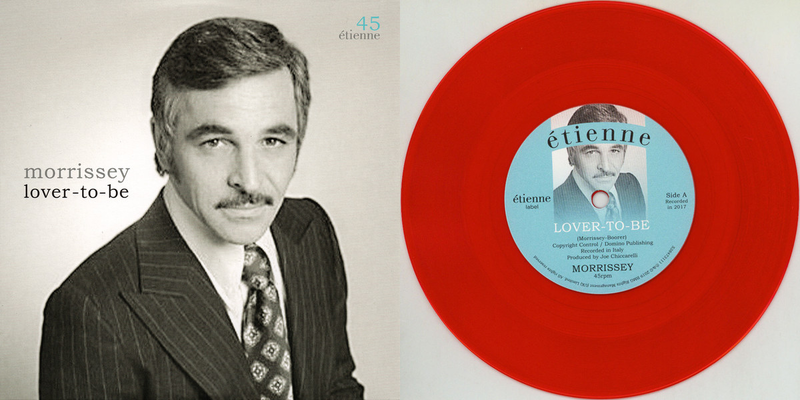 Although he did not originate the role of Phillip Chancellor II on The Young and the Restless, his portrayal from 1974 to the character's death in 1975 would resonate with viewers and in the storyline, for many years to come. Phillip's wife, Katherine (Jeanne Cooper), was a messy drunk so he turned his attention to the young and beautiful Jill Foster (Brenda Dickson). Phillip and Jill began an affair that led him to demand a divorce from his wife. Phillip ultimately died in a car crash, leaving a lost and angry Katherine to battle the devastated and now pregnant Jill. Their battles were at the center of the show for the next four decades. His experience on The Young and the Restlessmay have prepared him for the plot twists and surprises of the soap-opera spoof Soap. Beginning in 1978, during the show’s second season, he played Dutch Leitner, a dimwitted criminal who helped Chester Tate, the philandering head of the wealthy Tate family, escape from prison. Duth then hid out at the Tate mansion and later wooed and eventually married Chester’s daughter, Eunice. 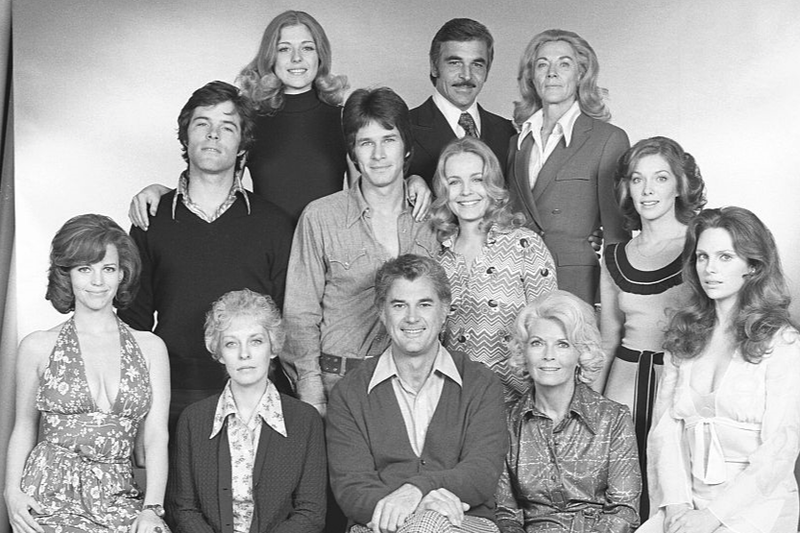 Rhodes was on the show until it was canceled in 1981. More than two decades later he played a very different character, the sarcastic, cigarette-smoking Dr. Sherman Cottle, on the Syfy Channel's update of the late-1970s series Battlestar Galactica. Dr. Cottle was the chief medical officer on a ship leading the remnants of humanity through space after a devastating attack by a robotic civilization. He joined the series in 2004 and remained with it until it ended in 2009. Rhodes also had substantial roles on Canadian shows like Danger Bay, as a marine veterinarian, and Da Vinci's Inquest, as a detective. But he never became a household name, which he said in a 1989 interview was fine with him. 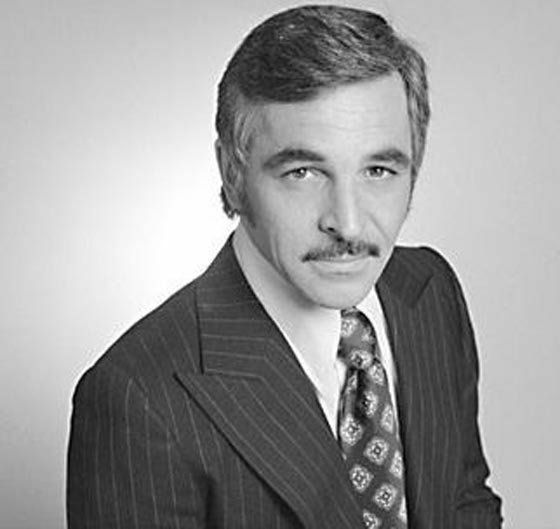 Donnelly Rhodes Henry was born on December 4, 1936, in Winnipeg, Manitoba. He studied at the Manitoba Theater Center and the National Theater School and served in the Royal Canadian Air Force before traveling to California to pursue acting. In the 1950s he became a contract player at Universal Studios, which persuaded him to eschew his surname. Rhodes's most notable film role was in Butch Cassidy and the Sundance Kid (1969), in which he threatens the Sundance Kid, played by Robert Redford. Butch Cassidy, played by Paul Newman, calms the situation, and as the Kid walks away he whirls around and shoots off Mr. Rhodes’s gun belt. Television appearances also included parts on Cheers, Taxi, Mission: Impossible, Hill Street Blues, Murder, She Wrote and The X-Files. Rhodes was married six times. In 2011 he married Sarah Wilson, who survives him. He is also survived by a daughter, Seana Henry; a son, Westerley Henry; a brother, the actor Tim Henry; a sister, Loa Henry; a grandson; two stepsons, Brad LeBlanc and Chris Nickull; and a stepdaughter, Amahra LeBlanc. Rhodes's last television appearance was as a federal agent on the DC Comics-based CW series The Flash and Legends of Tomorrow.